I don’t suppose most people go to Paris looking for architecture by Canadian-born, LA-based Frank Gehry but the designer of eye-popping buildings like Los Angeles’ Disney Concert Hall and Spain’s Guggenheim Museum Bilbao has certainly made a mark on the city’s urban landscape. 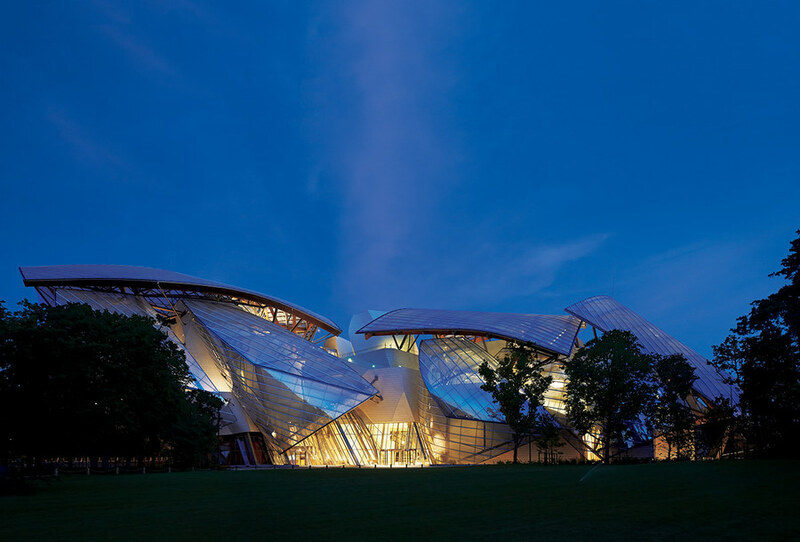 Gehry’s designs are always controversial but after seeing the model for the Louis Vuitton Foundation in Paris at the new Gehry exhibit at LACMA today, I can’t help wondering what the French make of the creation popping up out of the Bois de Bologne like a futuristic sailing ship, ready to take off into the sky? The creation, like all of Gehry’s creations, is a showstopper. 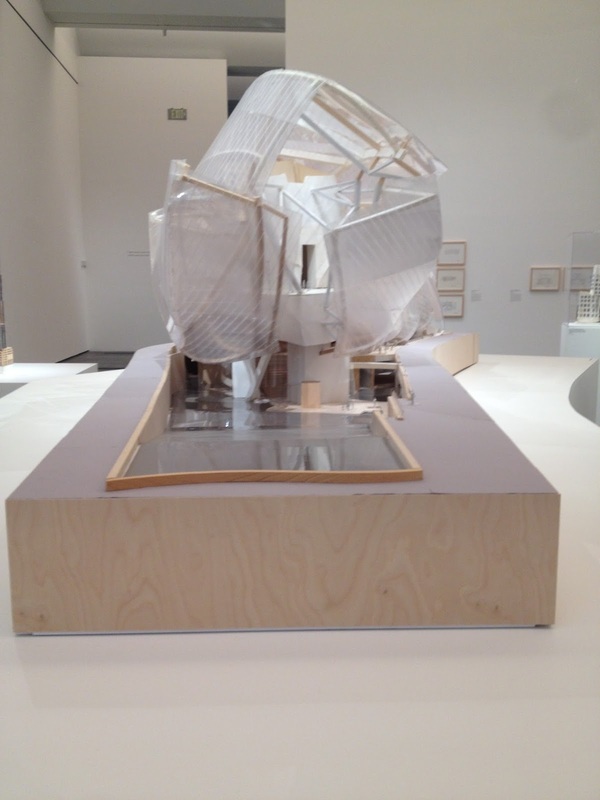 Designed by Gehry+Associates, so is this exhibit. I go a little gaga over models, with their teeny faux people and trees. I want to be put in that ‘honey, I shrunk the kids’ machine and crawl right in and have a look around. The hour that I spent with the visionary Frank Gehry wasn’t nearly enough to see it all so I’ll have to go back. Plenty of time, the exhibit runs through March 16, 2016. This is a little different for me but I got so inspired after visiting the Gehry exhibit, I couldn’t help myself. Looking for more French-inspired info? As a Canadian I like that he now has a project in Paris. Good for him. That said I do not like seeing modern buildings in old cities. I like to keep everything the same. As a quasi-Canadian I feel the same pride:) Being a purist, you must hate the glass pyramid at the Louvre. I love architecture and that is one impressive building. He is a genius; mind blowing stuff. If your travels bring you to SoCal, check out LACMA. I think this looks amazing and I can understand your fascination with the model. I do wonder what the French people think about it. Thanks for playing along with Dreaming of France. I can always count on you. Thanks Paulita, you know I love playing along.